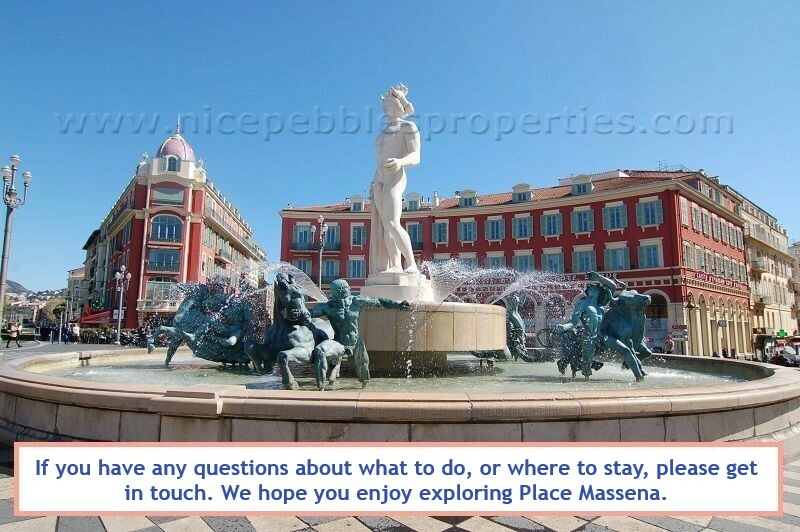 Place Massena boasts some of the most sumptuous rental properties in Nice. This giant pedestrian-only square occupies the geographic heart of the city. 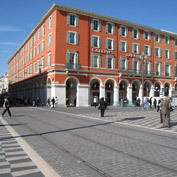 Occupying one corner is Galeries Lafayette—the chicest department store in Nice. 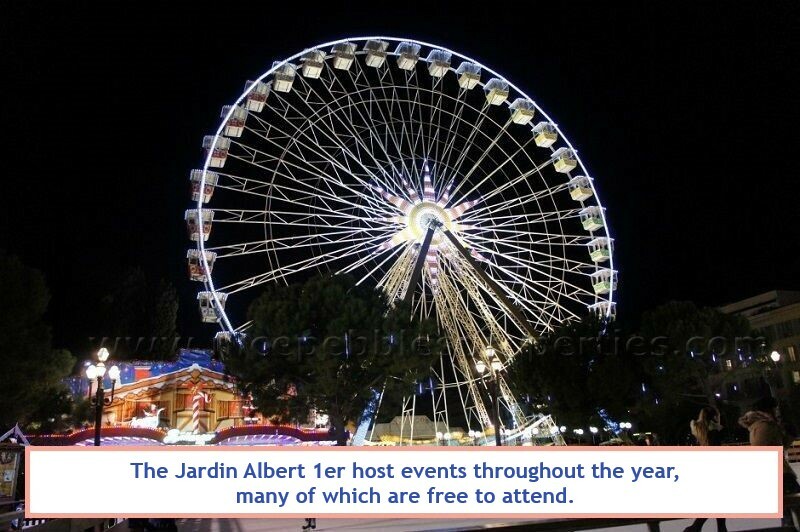 Nothing is far away from our rental apartments in Place Massena. 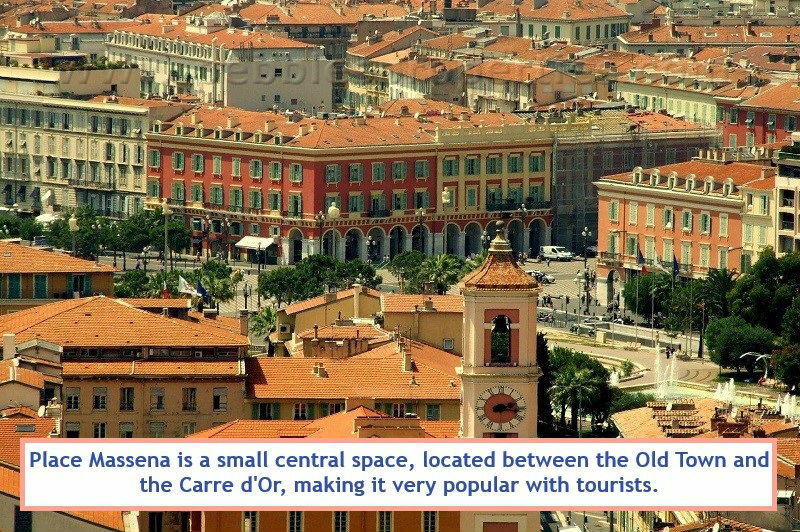 Just south of Place Massena is city's 5km-long public beach. 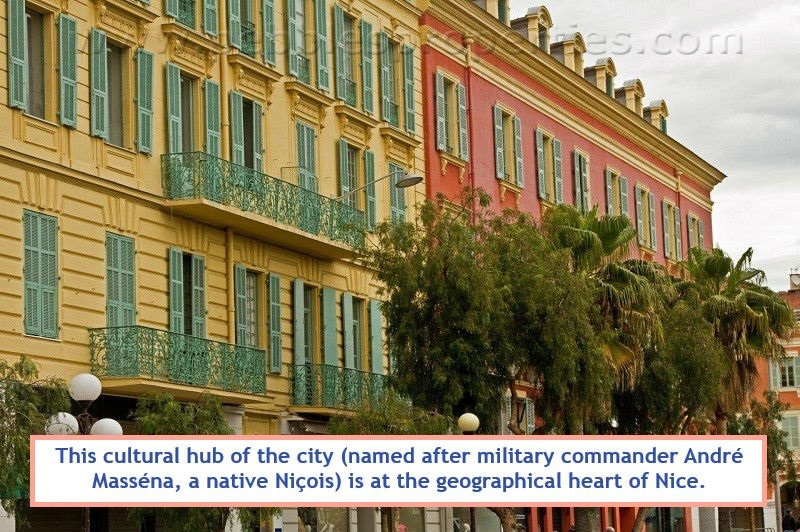 Just east lies the Old Town, Nice's principal attraction. Just west are the most stylish stores in Nice, including Chanel, Dior and YSL. Transport links in the area are also superb. 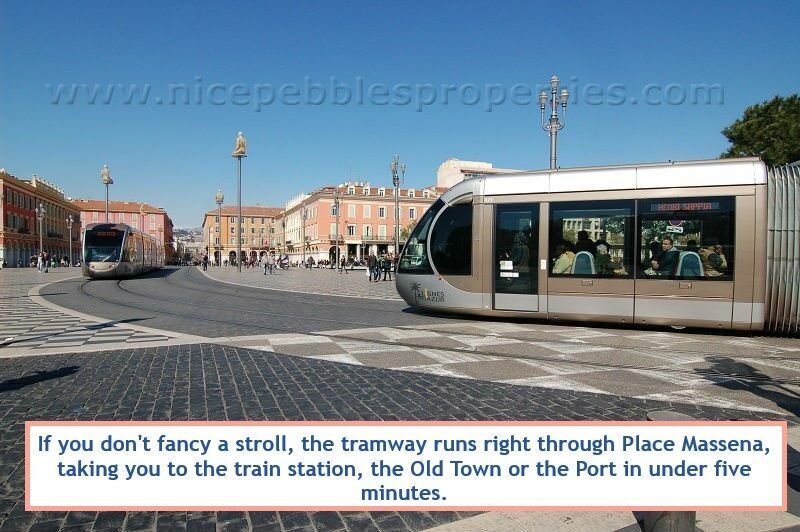 Nice's tramway passes through Place Massena, and heads up the Avenue Jean Médécin shopping street to Nice-Ville train station. 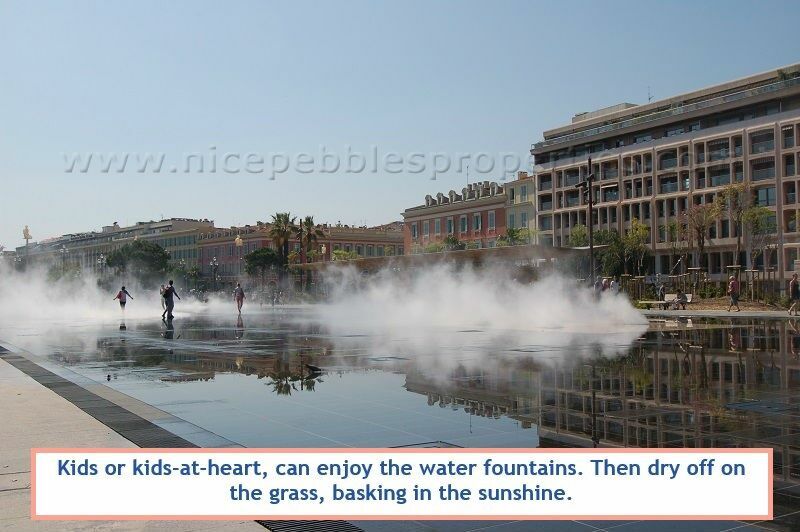 Place Massena and its adjoining Jardin Albert gardens host many an event through the year including the Christmas market, a children's play area during the summer and small festivals throughout the year. 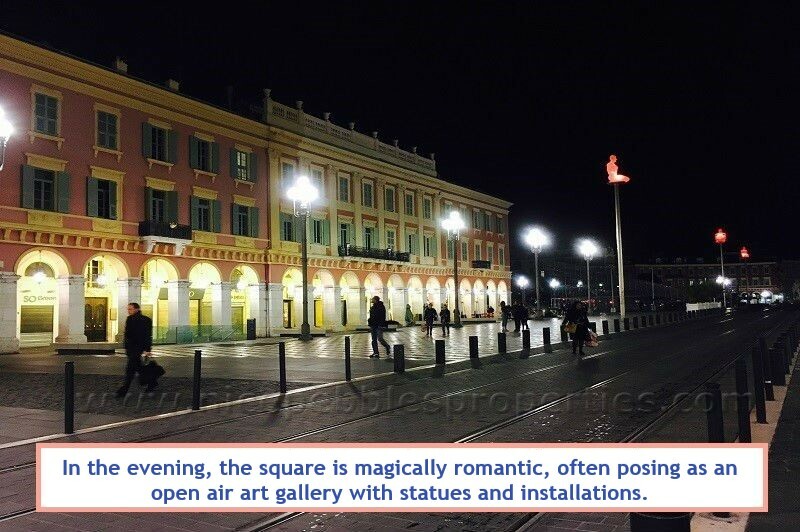 Every evening the square comes alive with the bustle of passers by, buskers and giant water fountains. 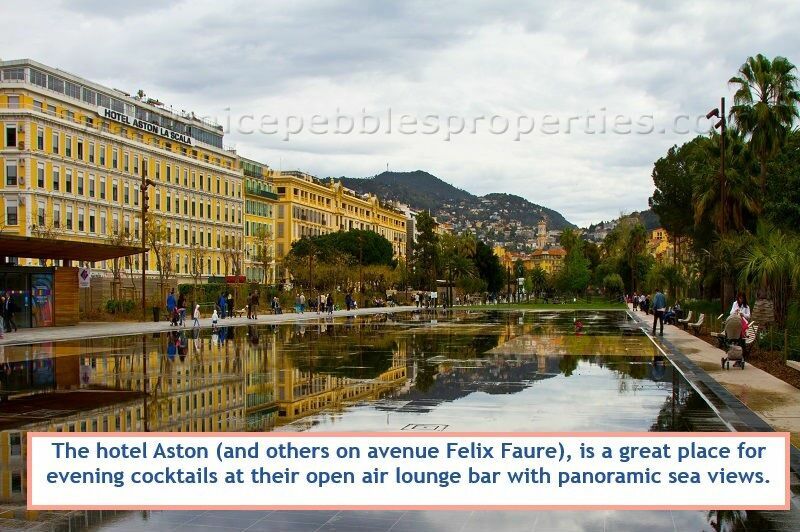 Our rental apartments in Place Massena area are an elegant blend of modern and bourgeois older buildings. There is a fair chance of a building having a lift or air-conditioning in this area. 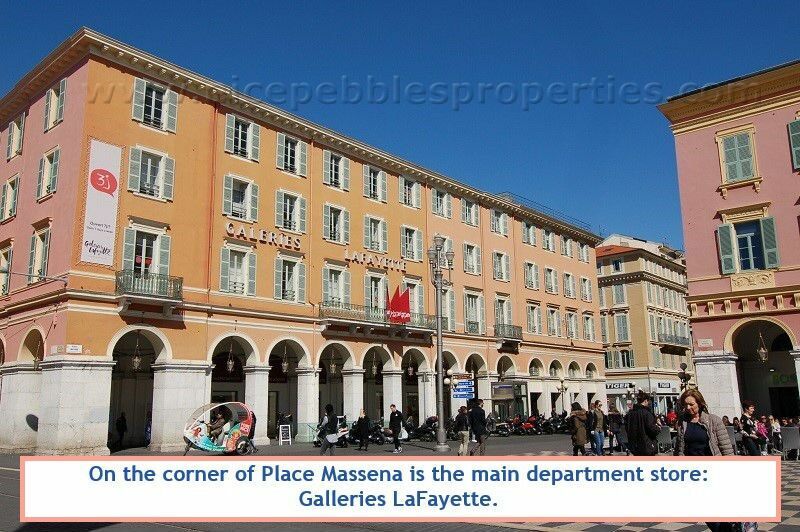 Our rental apartments in Massena and the Promenade area are an elegant blend of modern and bourgeois older buildings. 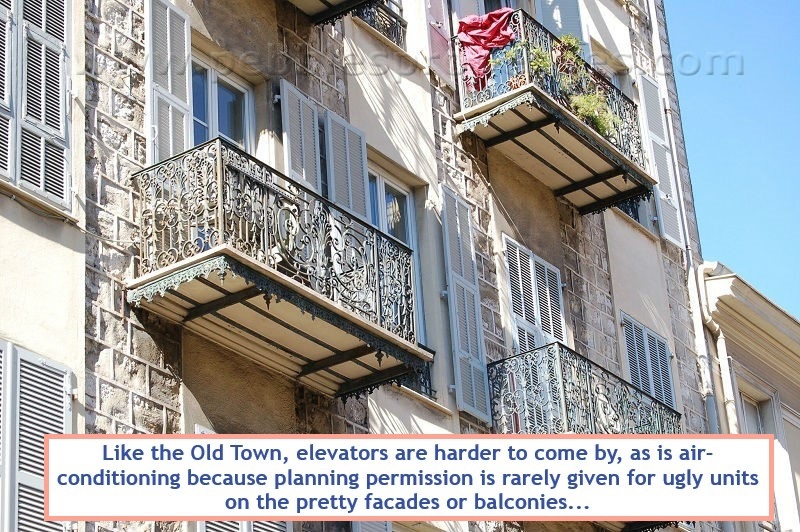 There is a great chance of a building having a lift or air-conditioning in this area: and both are rarities in Nice! 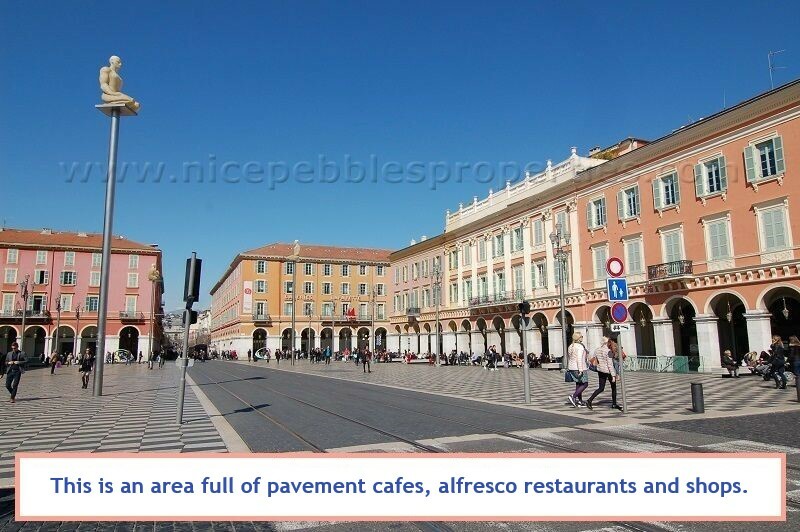 The entire area is filled with pavement cafés, alfresco restaurants and shops. For grocery shopping we recommend the two-storey Monoprix supermarket on Avenue Jean Médécin, which is open until 9pm. The daily food market in the nearby Old Town is also fabulous.